Mama Elephant Clear Stamps SCRIPTY BDAY at Simon Says STAMP! mept447 This item is on reserve until If you would like to reserve this item now, you may purchase it now with the rest of your order. We will hold your order now and ship your entire order as soon as this item is back into stock. If you would like your order to ship now, please place this item on a separate order. Success, Mama Elephant Clear Stamps SCRIPTY BDAY has been shared! Mama Elephant is a mom&mom East Coast based small business. 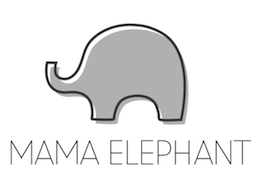 The Mama Elephant brand includes high-quality photopolymer clear stamps, custom color ink pads, premium steel die cuts and other nifty products. Owners Angela and Kryssi both have a strong education in fine arts and graphic design. With their creative backgrounds and being raised in New York City, they are able to infuse modern and fun designs into their products that are lively, simple, and easy to use.